CFPC Mobile App Now Available! Have all the information in the printed FMF program at your fingertips. Access the session schedule and handouts, and make notes through your personal device. Plus, submit your FMF credit evaluations for sessions attended and review your credit summary. 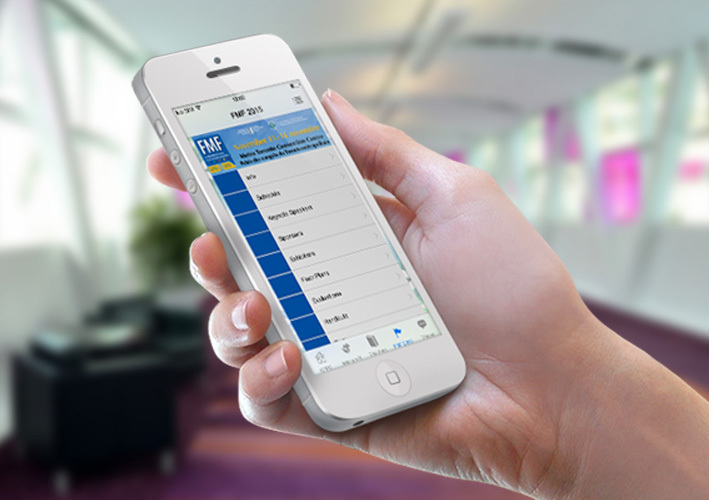 Download the Mobile App prior to arriving at FMF through the Mac App Store or Google Play Store. For a quick and easy download, ensure you have access to a stable Wi-Fi connection and a strong signal, ideally before the conference. All this while reducing the amount of printed material you use! For more information, see How to Use the CFPC Mobile App, CFPC Mobile App FAQs, iOS Demo, Android Demo, and BlackBerry Demo.